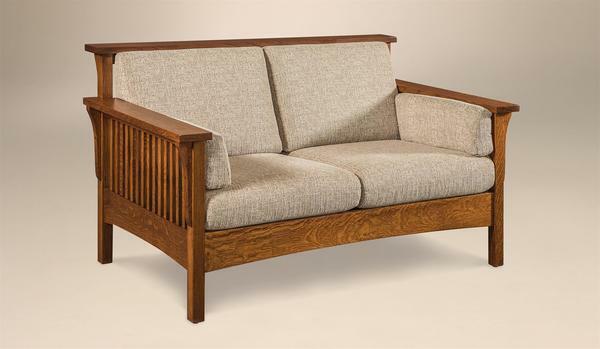 This Mission style loveseat is custom made for each customer. Choose your wood, finish and leather or fabric to create a look that fits in with your existing decor. Order you can order the whole set of High Back Slat Mission furniture. Check out the matching sofa and lounge chair to complete the new look for your living room. Call with questions or to place an order for this Mission loveseat and our other living room sofas and chairs. Everything arrived in good condition last night. They look better than I imagined from the photos. Now I can finally decorate the walls since I know where the furniture is going. This is an excellent way to enclose the garbage pail. Looks like a piece of furniture and provides additional countertop space.